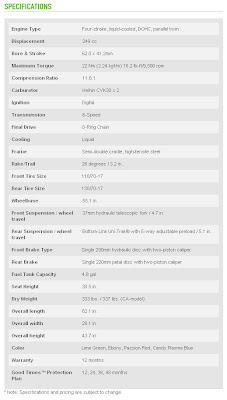 For the first time any bike manufacturer has catered to the entry level sports bike segment. A 250cc machine, though small as compared to the biggies currently prevenlant on the roads, but it provides the most suitable gateway for anyone who wants to get hold of the drift of sports biking. This holds true specially for ladies, who were earlier restricted to Tourers. 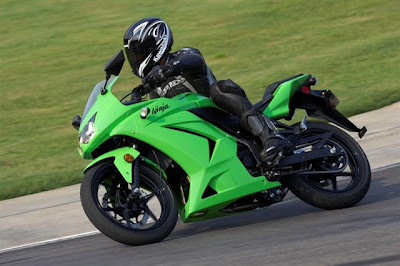 Ninja 250R though provides a small engine, but is a complete package in all respect. A well built unit overall!! Did a quick surfing over Youtube and did find a nice video review of the bike and the nice TVC. Sajal, Please get a Test Ride of the Ninja 250r... for me at least..!! hmmmmm that's a tough one!! I'll try but I'm not sure!!! But you've said the words buddy!!!! I'm gonna try my level best for that!!! Hi Sajal, wWhen are you landing in India..? ?